The domain name business in India has increased about 12 percent in the last three years. 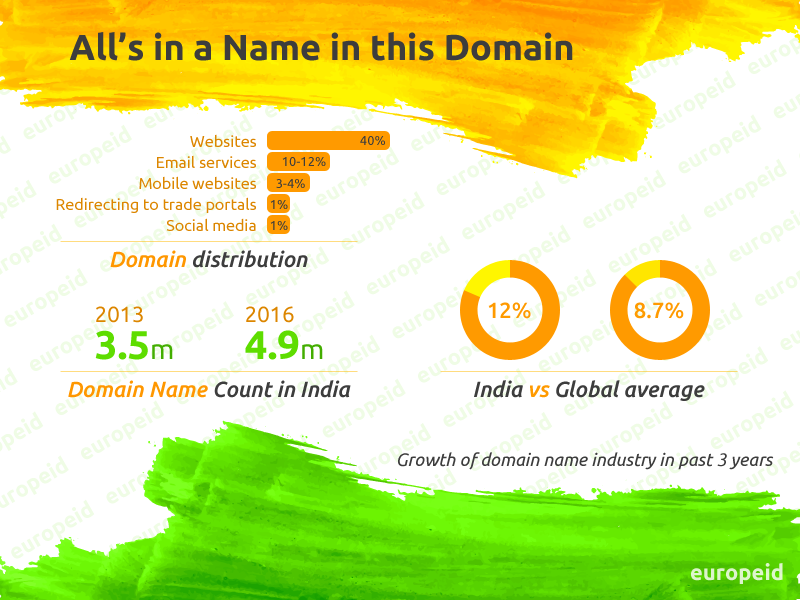 Growing interest in domain names as well as dense population and low market saturation present opportunities for investment in Indian domain market. 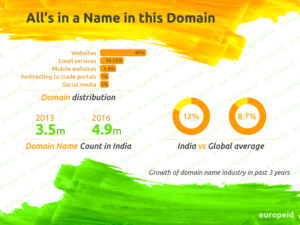 Over the period past three years, the domain name business in India has grown by 12 percent, outperforming the global average of 8.7 percent, according to research by Zinnov company. Among Indian small and medium businesses (SMBs), 79 percent prefer to use the .COM domain to the Indian country code .IN, popularized by the government. The latter is used by relatively modest 46 percent of businesses whereas approximately 25% of SMBs have utilised both .COM and .IN for the purpose of running their websites, the study shows. The main reasons why businesses prefer .COM over .IN are prestige and brand recognition on the Indian and global market. With the continued digitalization, Indian enterprises, particularly those offering services to foreign entities, have made efforts to achieve the professional standards adopted in the West. Using own company’s email addresses instead of Gmail or Yahoo presents a more polished image of the business. What is more, an effective use of domains can positively influence the company’s revenues, the study suggests. Using their own Internet domain can also help companies better control the growth of their business, engage in marketing activities as well as make financial transactions more efficiently. The domain names count in India has increased from 3.5 million in 2013 to 4.9 million in June 2016. The potential for growth is tremendous as only 1.1 out of 100 Internet users have a registered domain name. In contrast, the domain penetration ratio in the US is 43.6 percent. Furthermore, roughly 40 percent of the 4.9 million registered domains are used for websites whereas 10 to 12 percent of domain names are designated for use as professional email services. Mobile-enabled websites represent 3-4 percent of domains, and less than 1 percent is used for redirecting to social media sites and commercial pages, the study shows. The overall domain name registration in different regions looks as follows: south India has 33 percent of domain names, the north 31 percent, west India 29 percent, and the east only 7 percent. 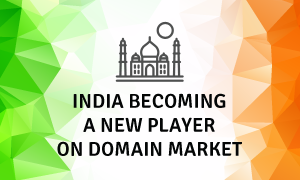 It seems that if the domain name industry continues to grow, India may soon become a valuable player on the market. If you wish to establish or increase your online presence in India, register an Internet address within .COM or .IN. You can use our search tool to check if the name you are looking for is available for registration. If you need assistance, please contact our Support Team at support@europeid.com.